I am not sure where to start with this one, it is an amazing story with twists and turns as we relive life during the 1900’s it was a hard time then in Sydney with the first world war raging and then in 2019 as we try to solve a mystery that started back in 1918. Once you pick this one up you are not going to want to put it down so make sure that you have nothing else planed, as you get to know Rose and Thomas, Gwendoline, Emma and Matt and a cast of fabulous characters. It is 1918 and Rose Porter has arrived from England, it is war time and jobs are hard to get, she applies for a job as parlourmaid at the North Head Quarantine Station, this place has rules that must be followed and the work is hard with dangerous disease ever present, but there is also love to be found for Rose with Thomas the carpenter, they take a big risk, but Rose is such a strong and caring person, lots happen in this time that will have tears flowing with special guests and the friends that Rose makes. Now 2019 and Emma Wilcott is caring for her 100 year old grandmother Gwendoline who suffers dementia, and she keeps escaping from the aged care home she lives in searching for something from her past and Emma sets out on a quest to find what it is she is looking for, this takes her to The Quarantine Station where her Grandmother lived till she was seven, and here she meets Matt the carpenter, and not only do they unravel the mystery they also journey to a HEA that has lots of ups and downs. This is really a fabulous story with so many fabulous people who are so easy to like and love, I was cheering them on, there were tears and the two romances just made my heart soar, it is beautifully written and the setting is awesome so much history there and MS Montebello bought The Quarantine Station and the people to life, this is a story that should not be missed and I do highly recommend it, thank you MS Montebello this is one for the keeper shelf. 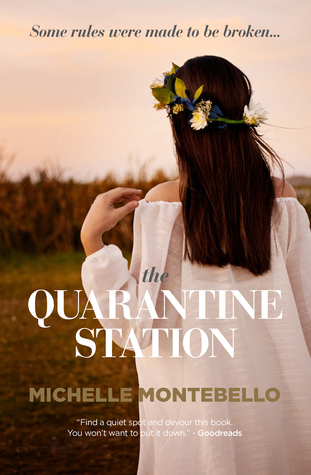 Sign into Goodreads to see if any of your friends have read The Quarantine Station.